One of our client's forms has an address requirement that is not working. Sometimes inquiries are submitted without the mailing address which is causing problems. 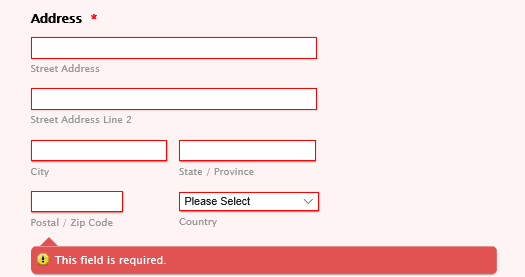 Is there an option on the form builder that tightens up the requirement? Do you use this form as a standalone form? Or do you embed it on a website? Ah. I didn't realize there was a different code snippit for WP - THANK YOU!! appreciate the quick back and forth to get it resolved. We love JotForm and couldn't live w/out it at this point.